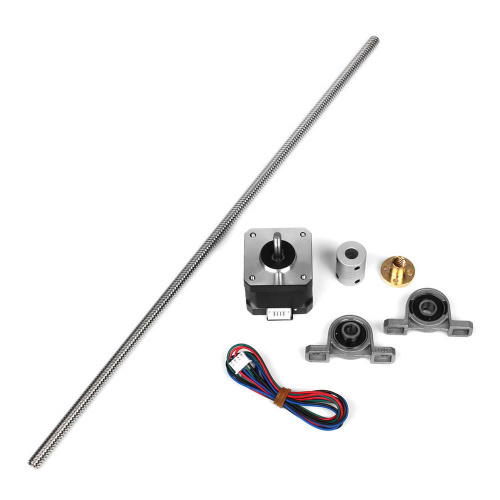 3D printer T8 400mm Stainless Steel Lead Screw + Screw nut + Mounted ball bearing+Shaft coupling+Motor. Screw without processing, direct connected to bearing. T shape design, make of high quality stainless steel material. 1. Put screw nut into the lead screw. 2. Then the 2 Mounted ball bearing separately install at both ends of the Lead screw. 4. Put shaft coupling into the Lead screw beside the Mounted ball bearing.